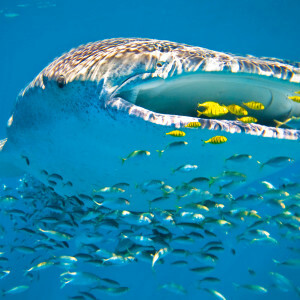 Ningaloo Reef is a popular diving location as it’s the most accessible fringing reef off of Australia’s shore. Stepping off the white sandy beaches, you’ll enter an underwater playground stretching from Bundegi Reef to Exmouth Gulf. Offering a diversity of diving destinations, from shallow lagoons to deep water dives, you’ll be surrounded by vibrant corals and more than 500 species of fish. 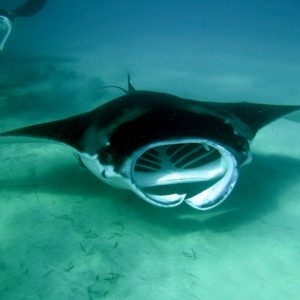 Scuba diving Ningaloo Reef is extremely popular as you’ll come up close to whale sharks, dugongs, dolphins, sea turtles, humpback whales and more! No matter if you’re a snorkeler or a scuba diver, the diverse marine life and dive sites offer a one of a kind experience. Any time is a great time for Ningaloo Reef diving, but during certain months you’re more likely to see some extraordinary marine life. 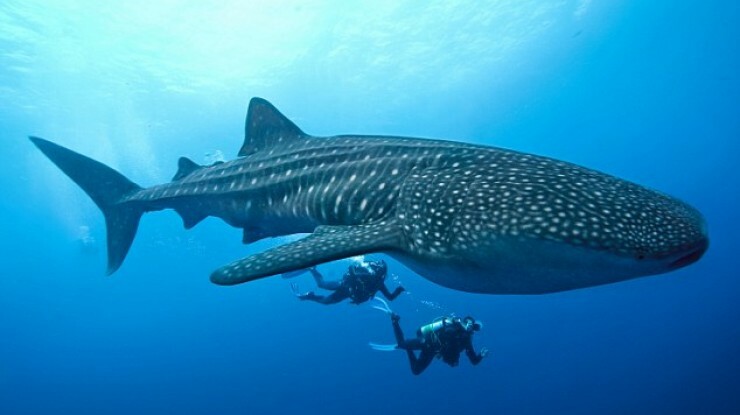 From April to July, you’ll spot an increased number of whale sharks, while you’ll see more Manta rays from May to November. When diving in June through late September, you’ll spot a few humpback whales and shy dugongs. Throughout the entire year, you’re likely to see many turtles, stingrays, dolphins and sharks! 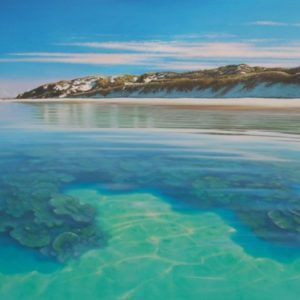 Due to it’s incredible biodiversity, Ningaloo Reef is World Heritage listed, which means it’s one of the few places in the world that remains untouched by man to protect its splendour. You’ll come face-to-face with 300 varieties of coral and 500 species of fish, both large and small. 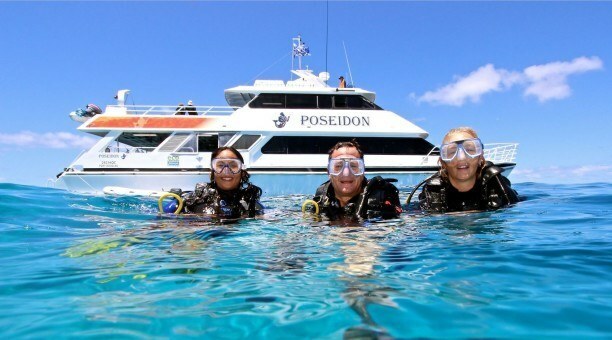 Scuba diving Ningaloo Reef is the most common way to find adventure in the reef system, but you can also snorkel, view the underwater world from a glass bottom boat and from above. 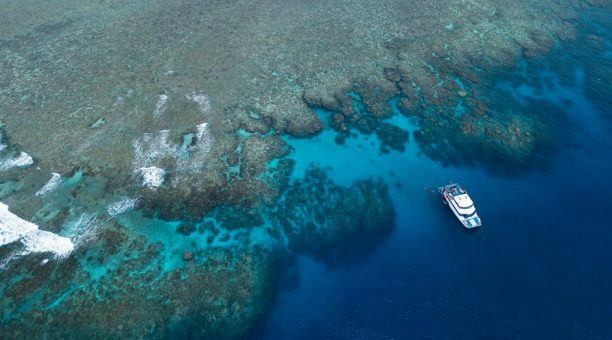 As the reef is easily accessible, your trip to the reef can last a few hours to a few days. With Ningaloo Reef’s ideal location, you’re also able to explore Coral Bay and Exmouth. You can even take tours to dive with whales! 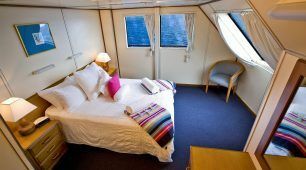 The ocean paradise of Ningaloo Reef offers pristine, clear waters that give you a new appreciation for the marine life as you have an unobstructed view of the natural wonders. 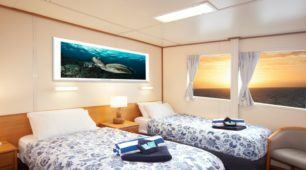 You’ll even have the chance to see rare sea turtles hatch just off the reef from January to February. 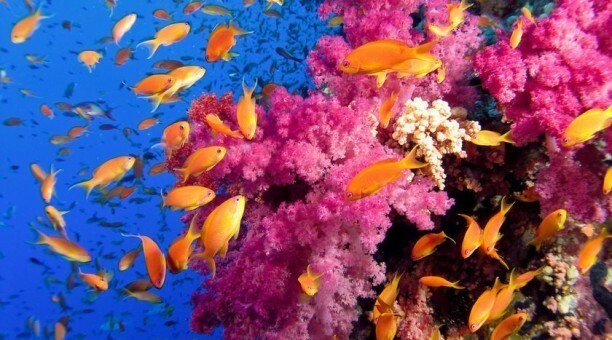 The diverse environment provides world renowned beauty and adventure when scuba diving Ningaloo Reef. 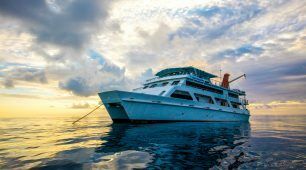 Ningaloo Reef diving puts you in the heart of giant schools of fish, amazing rock canyons and an abundance of coral you won’t find anywhere else. 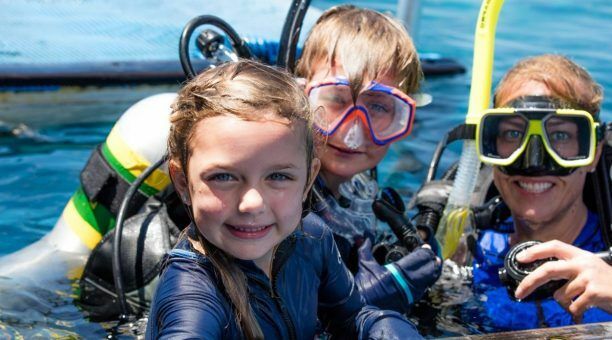 Whether you’re new to diving or a seasoned professional, diving Ningaloo Reef is a “bucket list” must!